Beware the Total Solar Eclipse in Australia! The solar eclipse today / tomorrow won’t have been visible to most of the world. The only city to experience it in its entirety was the Australian city of Cairns. 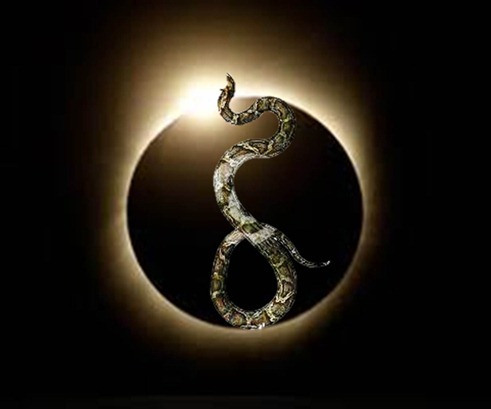 It’s worth a mention though, because as the moon obscures the sun it aligns with the bright star Unuk Snake Heart. As the name suggests, this is likely to have a somewhat unpleasant affect on all of us, wherever we are. And of course there’s the Mercury retrograde happening the now, which makes Mercury look like it’s going backwards in the night sky. It also makes us more sensitive than usual and prone to making mistakes. It is a great time to re-do things though. It’s a good time for going back over things and checking them through. Best give things time right now. Remember ~ more haste less speed, and a stitch in time saves nine. This alignment could prove treacherous! It looks like it’s possibly going to be a toxic, uncomfortable eclipse. ‘Possibly’ because it’s a challenge. We can use it to our advantage! We can take the snake’s venom and make it an antidote, suitable for use in future poisonous attacks. Or we can just go ahead and be poisoned by it. That doesn’t seem like much of a choice, but it’s what this transforming pain into the path thing is all about. ~ We won’t be able to make a bad day into a better one if we hate the snake for biting us, resent the subsequent pain, and just end up bitter about the whole thing. When we get bit by a snake we don’t often see it coming. It helps to have enough control over our mind be able to deal with the situation effectively. And without losing control to delusions. Delusions are negative minds like anger, which disturb our peace of mind. They make things more difficult to accomplish, and people much harder to get on with. We’re far more likely to do something silly under the influence of delusion. Keeping a peaceful mind protects us from this. For better or worse, the result makes ripples in our mind stream, and in other folk’s lives. The bright star Unuk tends to make us especially sensitive to toxins, whether environmental or in the food we eat. So if for instance, we’re allergic to peanuts, dust or have an autoimmune disease* already, we would benefit from building our natural defences. “The house that this eclipse falls into shows where our lives we are vulnerable for the next six months and need to protect ourselves psychically. This is especially why we need to keep our auras brilliant and strong, not pierce holes in them with drugs and alcohol. We will need this “armour” to protect us from any mental or emotional violence in our lives. Keep our eyes open for messages and synchronicity from the universe. All is not what it seems. The extra sensitivity is not all bad news, with a strong psychic shield we can take advantage off all the good Neptune stuff. It’s always a good time to follow Shantideva’s advice; but being able best to use Neptune’s energy gives extra impetus. Almost similar to this is the infamous, possibly offensive Honey-badger Don’t Care – Original foul-mouthed narration by Randall. Not very Buddhist, but very funny. 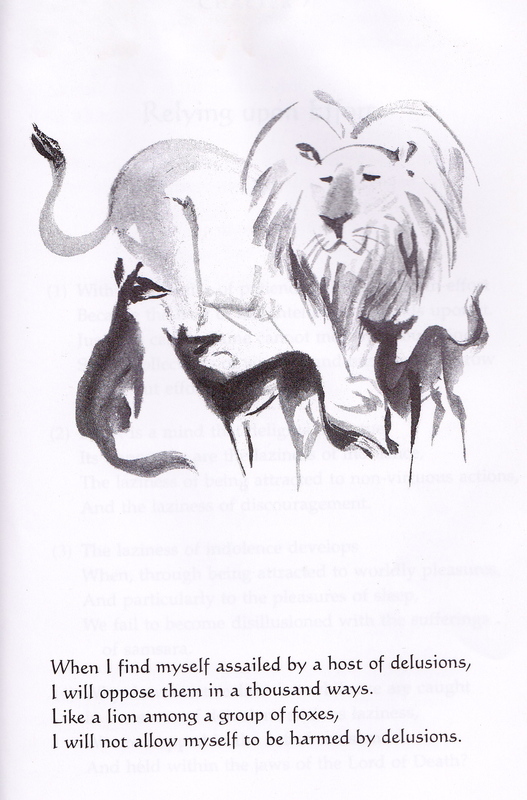 And a good example of how brilliantly strong we can be when attacked by slithery negative minds. Previous the Disastrous Behaviour of the Memory Next the 1st Bristol Mayor! a National Pioneer or Electile Dysfunction?